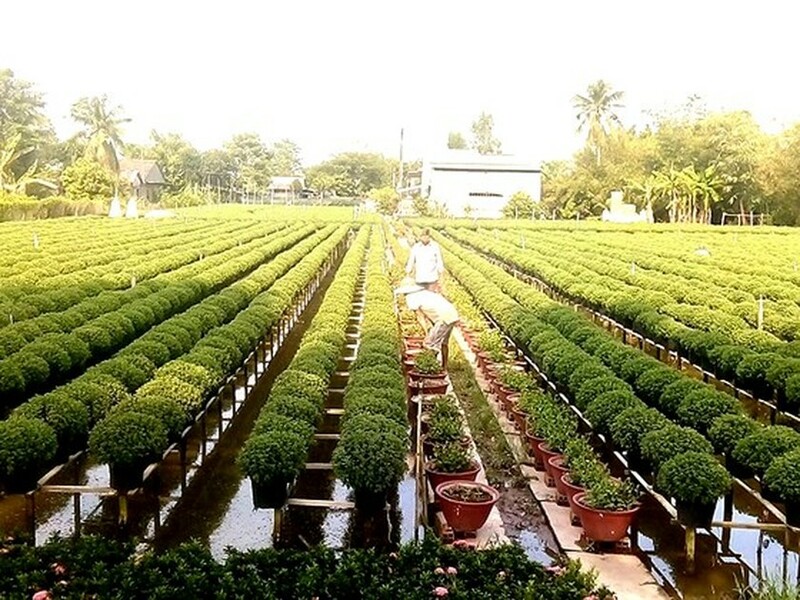 Farmers in the Mekong Delta are now focusing on flower and ornamental plant care for Tet holiday which will fall in early February this year, expecting good crop because of ongoing advantageous weather. Tet flower preparation has been noisy these days in Sa Dec city, Dong Thap province. Mr. Nguyen Van Be Ba, chairman of Tan Khan Dong commune People’s Committee, said that flowers are produced around the year in the commune but Tet is still the major season. The commune has over 175 hectares of flowers and ornamental plants, the area has increased by tens of hectares this year. Ms. Huynh Ngoc Tuyen, local flower farmer, said that the weather has been fine and advantageous for flower production. Traders have started buying ornamental plants for sale. Households in Cho Lach ornamental flower village, Cho Lach district, Ben Tre province are entering the peak time of flower production. 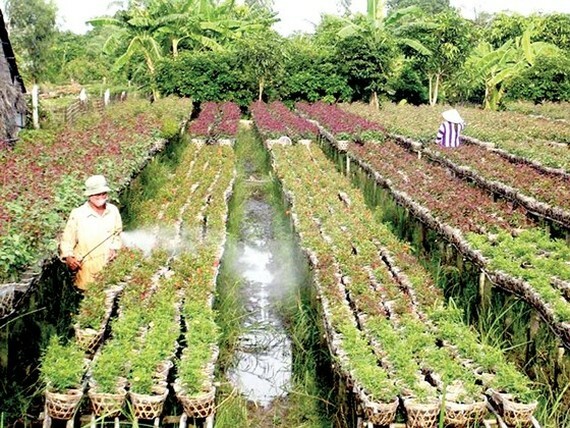 Mr. Bui Thanh Liem, head of the Agriculture and Rural Development Department in the district, said that the village is expected to supply about 12 million pots of flowers and ornamental plants for Tet. Besides traditional flowers, Cho Lach flower village has prepared new imported varieties and promoted its strengths in production of ornamental plants in the shape of 12 animal designations. Mr. Bui Thanh Liem said that ornamental plants and flowers have brought good economic efficiency for famers in the district. So far many households have earned the income of VND700-800 million a hectare, much higher than rice earning. 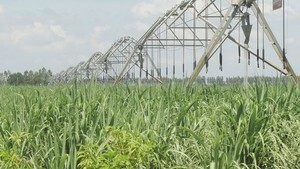 Original ornamental plants might bring few billion dong a hectare. Mr. Vo Thanh Tung, chairman of Sa Dec city in Dong Thap province, said that flower farming area has been increasing in the city. In 2018 alone, it has been expanded by 42 hectares, taking the total area to over 600 hectares with the output of 25 million pots a year. They have planted about 100 hectares of flowers and ornamental plants with three million pots of different varieties for the next Tet festival. The city People’s Committee has urgently invested in infrastructure systems including roads and lightning system to facilitate flower transport and trade. Besides flower production, Sa Dec flower village has started tourist development, scheduled to sell tickets for visitors to the village early 2019, added Mr. Tung. Mr. Nguyen Thanh Hung, deputy chairman of Dong Thap province People’s Committee, said that the province’s agricultural restructuring project names flowers and ornamental plants as one in five key products. A hi-tech agricultural application center and a bio technology study center have taken shape in Sa Dec. Farmers, businesses and cooperatives have intensified farming of new varieties and built flower growing models to serve tourism. This is an important progress to develop Sa Dec into a four season flower city.